These terms and conditions apply to the User who uses the Online Services provided for any payment made to Sapphire International School (SIS). Kindly read these terms and conditions carefully. By authorizing a payment to SIS through the online payment service ("the service"), it would be treated as a deemed acceptance to these terms and conditions. SIS reserves all the rights to amend these terms and conditions at any time without giving prior notice. It is the responsibility of the User to have read the terms and conditions before using the Service. The Applicant agrees, understands and confirms that his/ her personal data including without limitation details relating to debit card/ credit card/net banking transmitted over the Internet may be susceptible to misuse, hacking, theft and/ or fraud and that SIS or the Payment Service Provider(s) have no control over such matters. The service is provided using a payment gateway service provider through a secure website. However, neither the payment gateway service provider nor the SIS gives any assurance, that the information so provided online by a user is secured or may be read or intercepted by a third party. SIS does not accept or assume any liability in the event of such unauthorized interception, hacking or other unauthorized access to information provided by a user of the service. SIS and/or the Payment Service Providers shall not be liable for any inaccuracy, error or delay in, or omission of (a) any data, information or message, or (b) the transmission or delivery of any such data, information or message; or (c) any loss or damage arising from or occasioned by any such inaccuracy, error, delay or omission, non-performance or interruption in any such data, information or message. Under no circumstances shall the SIS and/or the Payment Service Providers, its employees, directors, and its third party agents involved in processing, delivering or managing the Services, be liable for any direct, indirect, incidental, special or consequential damages, or any damages whatsoever, including punitive or exemplary arising out of or in any way connected with the provision of or any inadequacy or deficiency in the provision of the Services or resulting from unauthorized access or alteration of transmissions of data or arising from suspension or termination of the Service. The Applicant agrees that SIS or any of its employees will not be held liable By the Applicant for any loss or damages arising from your use of, or reliance upon the information contained on the Website, or any failure to comply with these Terms and Conditions where such failure is due to circumstance beyond SIS’s reasonable control. No warranty, representation or guarantee, express or implied, is given by the SIS in respect of the operation of the service. SIS does not accept liability for any damage, loss, cost (including legal costs), expenses, indirect losses or consequential damage of any kind which may be suffered or incurred by the User from the use of this service. These terms and conditions are governed by the laws of India and the competent courts at Gautam Budh Nagar shall have exclusive jurisdiction. Any dispute arising in relation to the terms and conditions will be submitted to a sole arbitrator appointed by SIS under the provisions of the Arbitration and Conciliation Act, 1996 and rules framed there under. 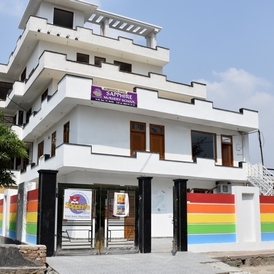 The venue of Arbitration shall be at Gautam Budh Nagar. In General parent / guardian / student may browse this website for obtaining any data or information. However, in order to access the classified information, one needs to use the credentials provided as a Parent / Guardian / Staff / Student user. 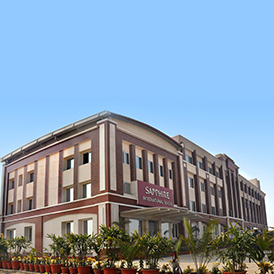 Sapphire International School may share your personal information with our bankers for clearing necessary fees payments. This information shall be strictly up to the legal permissible limit and not exceeding. It is sole responsibility of student to pick online payment option. SIS do not recommend/ prefer/promote any particular method. Information related to payments using debit or credit card is not accessed or stored by the School. No Warranty: The information and materials contained in this site including, graphics, links or other items are provided as on “As Is” and “As Available” basis by the School which organized and tries to provide information accurately and expressly disclaims liability for error or omission in this information and materials. No warranty of any kind, implied, express or statutory shall be given by the School shall not be limited to the warranty of fitness for a particular purpose and freedom from computer virus is given in conjunction with the information and materials. Limitation of Liability: In no event, School will be liable for any damage direct or indirect losses or expenses arising in connection with site or use thereof inability to use by any person delay of operation or transaction, computer virus etc. All payment details which are entered through this payment gateway are encrypted when the Student, or third party making payment, enters them. 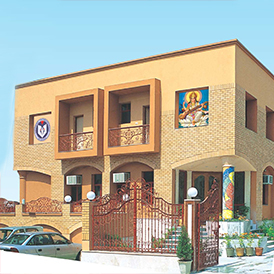 The site is secure and uses 128-bit encryption to offer secure communications by encrypting all data to and from the site The Sapphire International School shall not be liable for any failure by the Student or third party making payment of Fees to properly protect data from being seen on their screen by other persons or otherwise obtained by such other persons, during the Online Payment process or in respect of any omission to provide accurate information in the Course of the Online Payment Process. The SIS reserves the right to vary these Terms and Conditions from time to time and the current version will be that published on this website. We reserve the right to decline the acceptance of an online payment if your account is in default for any reason. 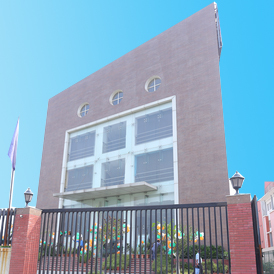 Sapphire International School may also make additions/deletions/alteration to the services offered, at its sole discretion. We reserves the right to withdraw the service at any time at its discretion. We retain the right to change the terms and conditions for Online Fees Payments, without any prior notice.